There is vast and omnipresent space in our living and natural environments (e.g., on high and thin branches of trees, on electric lines, and inside a bush) to which a human or hard machine cannot access due to the weight and size. A small, cheap, and light-weight robot that is able to move around adaptively and resiliently in such space has huge potential as a next-generation IoT device or a smart matter. 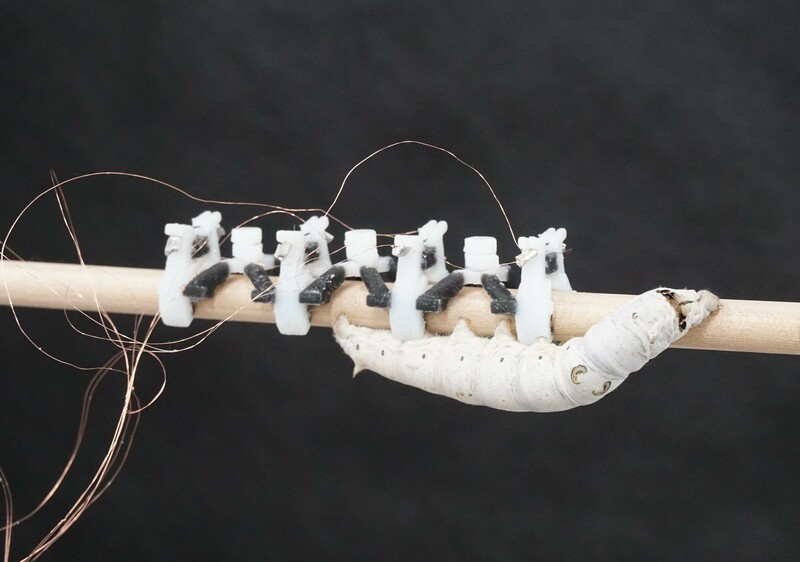 Caterpillars are excellent living models to design this vision, since they have evolved over millions of years to produce effective locomotion by orchestrating the large degrees of freedom in their deformable and continuum bodies without massively complex brains. Inspired by the animal, we are developing a soft-bodied robot that can be maneuvered by a simple controller.